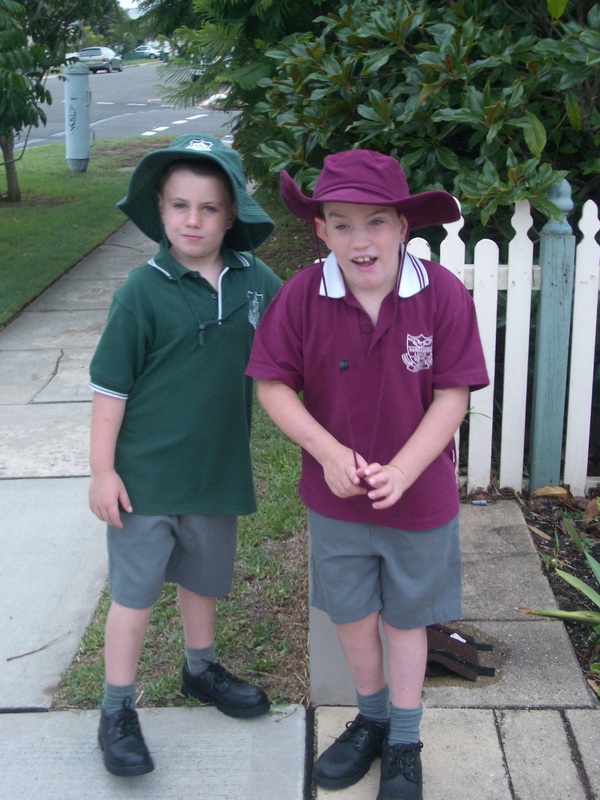 I adored my primary school, a little local suburban number I would walk to and from each day. I had my best friend Belinda who was outrageously beautiful and otherwise just ran with the pack. Apart from my nameless kindy teacher, I remember all my teachers: Mrs Rafferty, Mrs Bramhall, Mrs Miller and Mr Eagleton. My entry to school was marked by massive panic that I couldn’t write my name. When i recounted this to mum recently she was agog, AGOG, telling me I was writing sentences by the time I got to school. Of course I was. Probably reading Enid Blyton on my own too. There was one standout incident for me in this year in which David Stockler took my pencil sharpener and would not return it despite my many requests. I kept putting my hand up and calling the teacher’s name, to which she would reply ‘in a minute’ or ‘when I’ve finished helping __’ and so on. Eventually I’d had a gutful so stood up ON my desk, stamped my foot and declared in a loud clear voice, also known as yelling, ‘David Stockler has my pencil sharpener and I want it back NOW.’ As the oxygen drained from the room I turned to see an ominous figure filling the door frame and casting a long shadow, the Principal of the entire school, Mr Chapman. I was promptly taken outside and given a talking to by this imposing figure, the contents of which I have absolutely no recollection except being acutely aware of his eyebrows. Like tentacles sprouting from his forehead, they were simultaneously terrifying and mesmerising. In 1st grade it was Mrs Rafftery, a young waif of a thing I was besotted with. She had this hairdo that I admired so much I tried to replicate it at my June Daly-Watkins debacle. It was a bum part, then straight and then, dear GOD, curly (permed perhaps?) at the ends. In hindsight perhaps the poor woman was just growing out a bad idea. 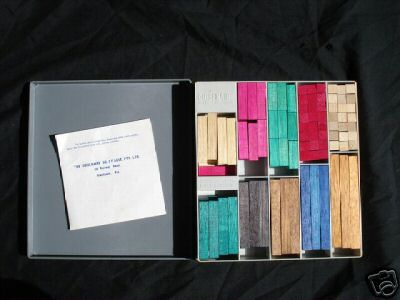 That was the year David Stockler and I got in trouble for talking during a test and that I had to take home the cuisanaire rods because my mathematical ineptitude was already quite evident. I remember being so embarrassed about this I tried to sneak them into my bag before anyone could see, only to drop them on the verandah and watch them go sailing down between the cracks in the floorboards to the dirt below. 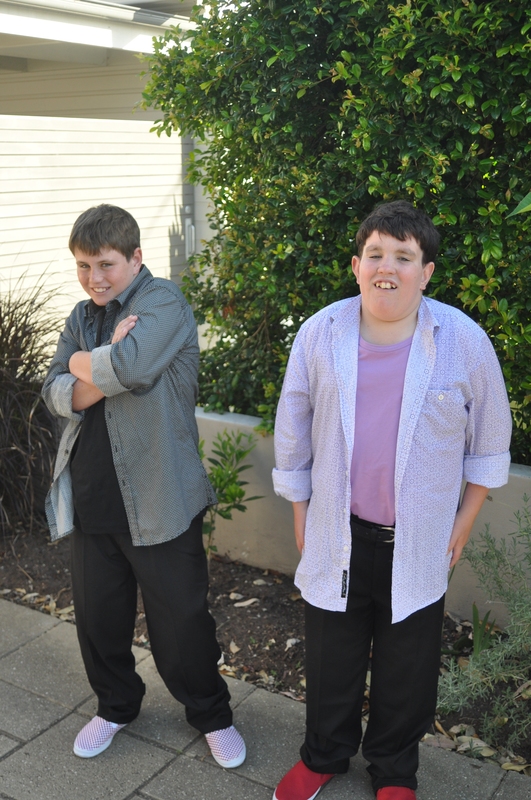 This all happened just as the twins (David and Michael I think) were returning from an appointment with the eye doctor. Michael was wearing glasses which, in 1979, was the schoolyard equivalent to a duck wearing a target during hunting season. You could see he was miserable. In a bid to avoid the classroom and thereby hold off the FOUR-EYES taunts for just a bit longer he went under the building with me to collect up all those rotten rods. The following year I had Mrs Bramhall who had taught my brother two years earlier. She announced this and her love for my brother (“such a good boy”) on my first day and promptly told me she was going to call me Kimberly. I pointed out to her that Kimberly was not my name, a fact she disputed for some time. She viewed me with great suspicion, that if my brother had been the good one then I had to be the bad, but a relentless campaign of flowers from our garden eventually won her over. That was the year I got a boil on my knee, a scar I still bear. I cheated in a spelling test because I knew Saturday was not spelt with an “er” but for the life of me couldn’t think of what did go in that space. I “accidentally” dropped my pencil and on picking it up looked over Belinda’s shoulder and copied. OH the chagrin. It was also the year we made White Christmas (was there anything better than the last few weeks of school when it was all Christmas craft and carols?) and I got to stir the bowl more than anyone else because I did it properly. I remember how upset Belinda was about this and how tickled I was by it. Mrs Miller was a complete trip in Year 3. An old school (read: elderly) teacher who would make us do maths and English tests every Friday afternoon while she sat at her desk with a small transistor radio playing the races. Isn’t it funny, that’s about all I remember of her. The Osti dresses, the hot curler set hairdo and that’s about it. I was going to say she was very quietly spoken but then thought, no she was quite fierce so perhaps she was a yeller? Again, the memory denies. 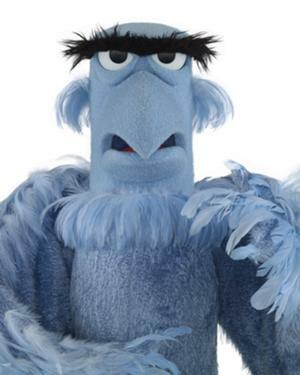 And then there was Mr Eagleton. I remember the first day of school in 1982 and how he was standing up on the verandah next to our Principal Mr Chapman, he of the incredible eyebrows. This great murmur was running through all of the students gathered on the hot asphalt to find out their class for the year. Who was this new teacher? OH the excitement! He was as tall as a lamppost with a sandy brown beard and blue eyes. And as it transpired he was my 4th grade teacher. Fourth grade was an interesting year. 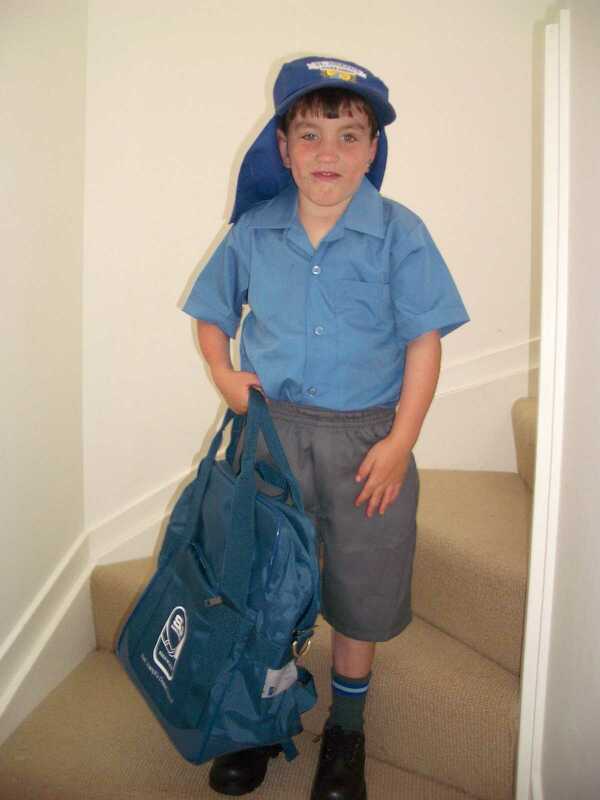 The realisation that I wanted to be a writer, that Christopher ___ really did have anger management issues, that Andrew ___ really was an annoying little git and that Alison ___ was a show pony with a show mother to boot. It was also the year I consciously wet my pants because seriously, I wanted the free undies you got from the school nurse. What I got was a pair of scratchy ill-fitting gender neutral undies which were grossly uncomfortable. Lesson learnt. Mr Eagleton was an absolute force. He had come from a country school in Nyngan, a town which had just experienced the worst flooding in its recorded history. We thought that was fabulously romantic. He announced that now we were in 4th grade we could write with pens rather than pencils except me. I had broken my right arm roller skating during the summer holidays and I was not allowed to use a pen until it was heeled. I was enraged at this gross injustice as quite frankly, my left handed writing was really quite neat. Still, wait I did. Once cast-free my love of the kilometrico knew no bounds. He announced that we were not children anymore and therefore Charlie would now be called Charles and Jamie James. Charlie was pretty naughty and I recall Mr Eagleton picking him up by his ears on one occasion. God knows how many times that poor kid got the cane. Ahh, the good old days of public education. It was the era of the assignment which involved sheets of art paper (you know the stuff, rough on one side, shiny on the other) sticky-taped together and then concertinaed. If you owned The Lettering Book, only available through Book Club, you were SORTED. Those assignments were all written solely off information learnt from National Geographic and out of encyclopaedias. Talk about the age of innocence. And then it came to an end. Fifth grade was a year when many of us moved to one of the private schools in the area and I was one of them. It was on our last day that James cornered me in the wet area off our classroom and declared his love for me. I was incredulous. He loved ME? Oh my. But then I was cranky. WHY leave it to now, why not tell me MONTHS ago? Now, now it was too late. Heart, officially broken. In two days time an era for this family will come to an end. A major chapter in Oscar’s life will finish as a whole new exciting one begins. Starting school for a child with additional needs is a monumental undertaking. We started a good 18 months out from when it would finally happen. We desperately wanted him in a wonderful program offered by a specialist special needs primary school in a satellite class at a school literally a few blocks from our home. An anxious wait ended beautifully with two fabulous years in a program called Start Right. Indeed. To say this school has gone above and beyond is an understatement. This school has treasured Oscar. They have seen him as ‘just’ another student in his year group all the while making the adjustments and allowances so many schools and anti-integration voices say are impossible. He has had the same opportunities and experiences as his peers plus more. He has been taught, loved and celebrated just as any child should be. They have regularly taken my breath away with their can-do attitude and soothed my worried heart through their zero-tolerance approach to bullying and their capacity to celebrate Oscar’s achievements as the Everest they sometimes are for our boy. 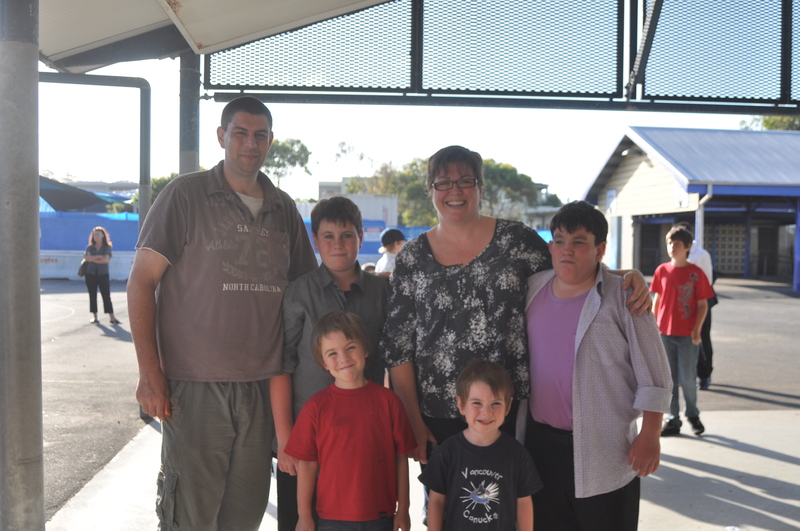 Tonight was Oscar’s Year 6 Farewell Dinner. 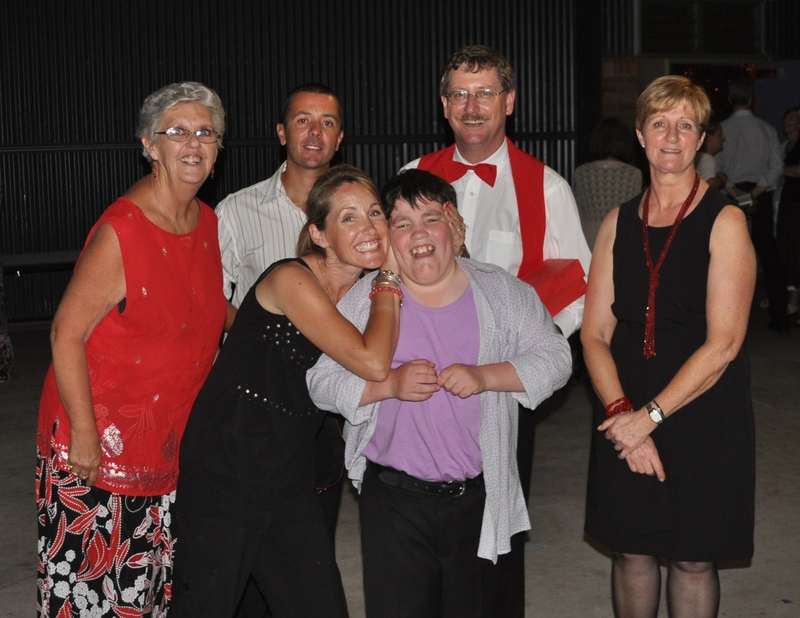 This is a wonderful evening at the school, where the Year 5 and Year 6 students get all dressed up and have a good time. Oscar’s Year 6 Farewell Dinner presentation from Kim at allconsuming on Vimeo. Our life? Full of wonderful people.